In this segment I will be stating the essentials of writing the best way possible. I’m not going to lie to you, sometimes writing is not easy. There’s going to be times where you cannot write, your brain just switches off and gives the pen and paper the finger. But there are other times when you have so much circling around in your egg-head that it’s hard to jot down everything at once, welcome to stress. What I am going to give all of my viewers, which is around twenty of you give or take two; is my fundamental list of The Fundamentals of Writing. Strive for a better story. We all know that nowadays some of the best stories are rehashed versions of someone else’s work. Twilight V’s Romeo & Juliet – “I can’t be with you because I’m part of this family and you can’t be with me because you’re part of that family. Hey, I have an idea where we can be together, it’s called death.” With a twist of words, characters and genre you can create greatness too. 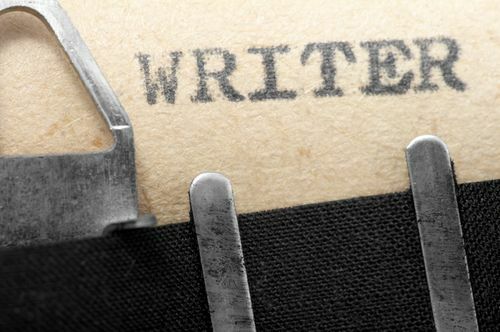 But you want to be a different type of writer; you want to become a great writer. Write from your own experiences to produce something new. Don’t just read – Study! If you want to become a writer then you must eat, sleep and poop books. I stumbled upon a writer a while ago who got inspired by one of my stories and he wanted to start-up a free blog and begin his writing endeavour. He only wrote around 200 words, it was about a hit & run accident. The overall story was great BUT there was no real vocabulary or details within his story. Writers breaking into writing often tend to do this; luckily I was young when I went through this stage. For example he wrote. I mean the story is there but there was so much more he could have done to ensure he had a gem on his fingertips. Each to their own, I gave him a few pointers on how to write and what he must to make sure he doesn’t get trolled online and now his blog is flourishing ever so nicely. Most writers just need to find their niche. No one wants to pick up another book (The Dictionary) when they have no idea the meanings of the words within your book. I mean, live the words, love them, but know your bounds. I’m not saying cancel out all great words, but tone it down and be cautious when and where you put them. If it writes well, keep it! For example, could you imagine if Stephanie Meyers called it Crepuscule instead of Twilight, yeah, it means the same thing, but Twilight has a certain ring to it. Don’t ask me why I am dancing around Twilight tonight, probably because I was made to watch it by my Girlfriend and it’s inhabiting and taking over all my rational thought… Team Jacob 4 lyf! Thanks for reading. Now hit that like button! Part 2 coming soon. Thanks for the link. So you having been writing since you were 8 and are now 25… Are you my long lost twin? Are you a robot clone of myself?! AM I A ROBOT CLONE OF YOU?!?!? Nice article! Keep ’em coming. If you are then you cannot like Spiders or Cabbage. You must have dreams of taking over the world and swimming in money…. But hey, if we are clones, this world better becareful. If it’s bad when we are seperated think about what will happen if we ever met. I’ll be stopping by your blog because you’re awesome. Keep you pen busy, my clone! My heart was a-flutter at the mention of disliking spiders, but alas, I am German, therefore am biologically programmed to like, even LOVE, cabbage in all forms. Specifically Sour Kraut. Sorry, man. I really thought we were twins. But, no worries, because we can still be best friends! You can’t see, but I’m doing a sit-down happy dance! WEE! I know what you mean, my girlfriend is German too. And don’t get my hopes up for a female-clone then drag me into the best-friend zone, clones will be fine…. Maybe we were seperated at birth or maybe we’re aliens from Neptune? I’m not sure but it’s great that I am not the only wierdo on here, I felt myself turning sane for a while. I have a story brewing! This could be a good one. Keep your pen busy, S.